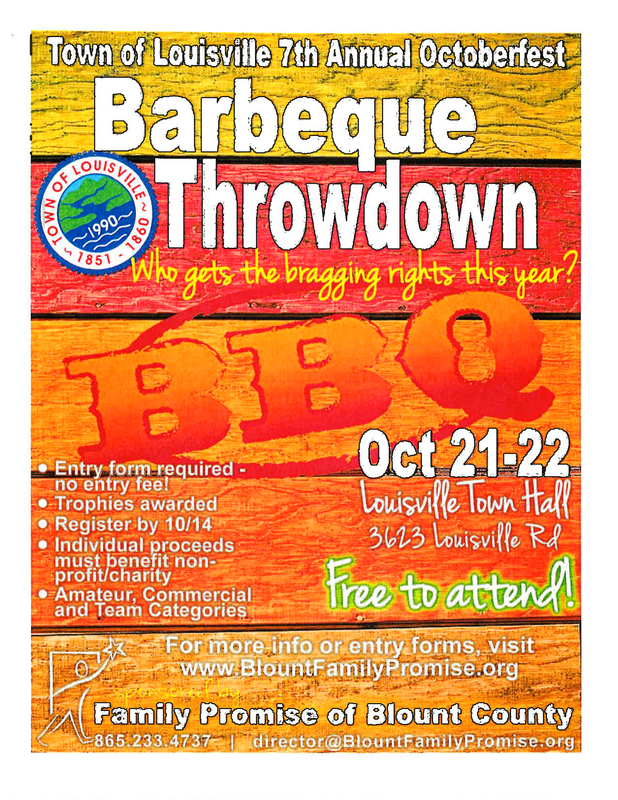 The No More Victims Foundation and Smoky Mountain Self-Defense would like to invite you to Louisville’s Octoberfest BBQ Throwdown, Saturday, October, 22nd from 10 am – 3 pm. During the event there will be BBQ available from Rick Houdin’s BBQ crew for purchase where the proceeds will benefit the No More Victims Foundation. The No More Victims Foundation will offer raffle tickets for a 26″ kids bike at $1 a ticket or 6 tickets for $5. There will also be a free raffle for three Women’s Self-Defense Seminar or 6 week tuition gift certificates as well. Come support the No More Victims Foundation and Smoky Mountain Self-Defense in Louisville on Saturday!